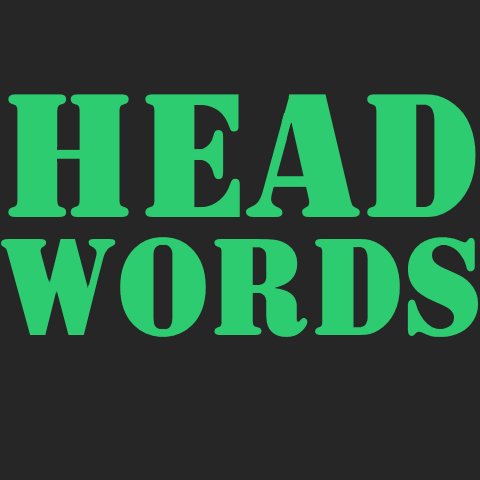 The BlackBerry 10 game Head Words has been updated to version 1.5 in BlackBerry AppWorld. This version adds a new “Drinks” category that will probably be the last new item that I ever post for sale in the BlackBerry store. Additionally the other categories include updates for items that have become popular within the past year such as The Good Place, and Camila Cabello. At the end of March, BlackBerry will be eliminating the possibility to purchase BlackBerry apps. Any previously purchased apps and any free apps will continue to be available until the end of 2019. As BlackBerry 10 has just passed the 5 year mark it seemed like a good time to take a look back at the platform. The very first BlackBerry 10 phone, the all touch screen Z10, proved to be the most popular accounting for 63% of all devices. The second phone to launch, the Q10, proved to be the second most popular. 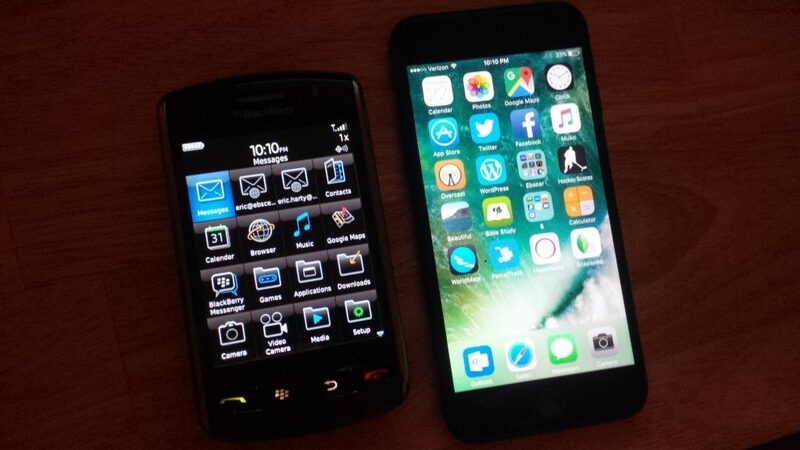 This shows how the BlackBerry 10 platform never really got all that far past the initial launch of the devices. 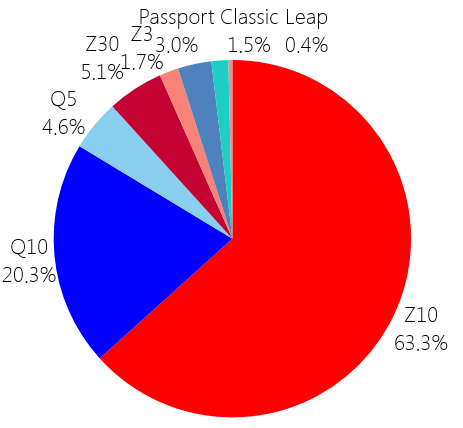 The three devices that were launched in the first half of 2013 (Z10, Q10, Q5) ended up accounting for 88% of all BlackBerry 10 phones. While later devices such as the Passport and Z30 got a good amount of media attention, they never got quite the same sales as the initial batch that BlackBerry released. Mostly this is probably due to the lack of support for BlackBerry 10 from the wireless carriers (especially in the United States) after the initial launch of the platform. This data was collected by BlackBerry World for downloads of the free checklist app Stuff I Need. Data shown on the chart is from the launch of BlackBerry 10 in January 2013 through the end of January 2018. Last week marked the fifth anniversary of the launch of BlackBerry 10, and with the OS abandoned at this point we can look at the complete history of OS adoptions by users of the platform. Throughout the life of BlackBerry 10 users were fairly quick to update to the newest version of the OS with almost every version exceeding 70% adoption after the first two months. This rate slowed down for the final version of the OS (currently around 64% adoption rate) as the users that cared most about getting updates have probably moved on to other platforms that are still planning future updates. This data was collected by BlackBerry World for downloads of the free strategy game Pixelated and the free checklist app Stuff I Need. Data shown on the chart is from the launch of BlackBerry 10 in January 2013 through the end of January 2018. 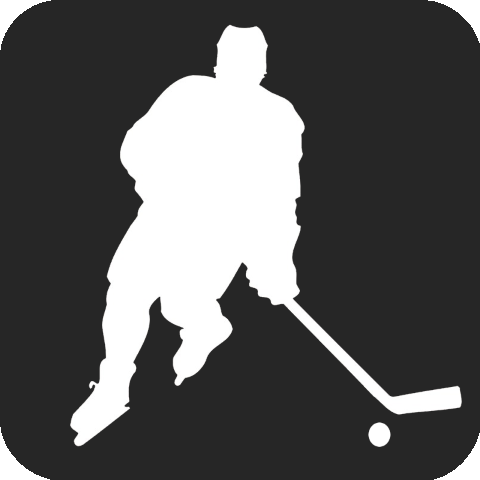 The BlackBerry 10 Hockey Scores app has been updated to version 4.4. The app now offers the option to show the scores for different dates, so you can easily check to see yesterday’s scores, or tomorrow’s game times. The version will not be released on BBOS, and should be coming to iOS soonish. 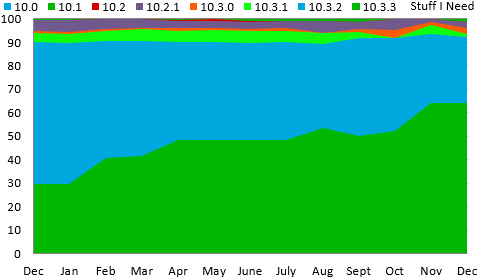 A year after the release of version 10.3.3 the distribution of BlackBerry OS versions looks the same as it has since last summer with roughly half of all users running the final version of the OS. This data was collected by BlackBerry World for downloads of the free strategy game Pixelated and the free checklist app Stuff I Need. 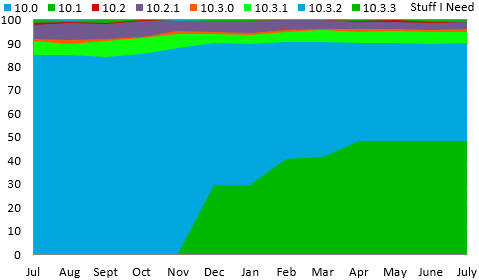 Data shown on the chart is from the beginning of October 2016 through the end of October 2017. The distribution of BlackBerry 10 OS versions continues to be unchanged this summer with roughly half of all users running OS 10.3.3 and over 90% of users on at least some variant of 10.3.X. This data was collected by BlackBerry World for downloads of the free strategy game Pixelated and the free checklist app Stuff I Need. Data shown on the chart is from the beginning of July 2016 through the end of July 2017. Indulge me for a minute while I talk about two dead technologies. Yesterday, Adobe finally announced the end for Flash, although it has been mostly dead for a few years now. This was driven largely by the lack of support on smartphones, and while the lack of Flash support on iOS is well known, BlackBerry quietly did very little to help Flash along. In 2013 BlackBerry 10 was launched, and Flash support was finally included in the browser. However it was disabled by default. Less then two years later in early 2015 BlackBerry released OS 10.3.1 which removed support for Flash.